On January 23, 2019, the United Nations Convention to Combat Desertification (UNCCD) announced that India will gain much-needed new knowledge regarding land rehabilitation when it hosts the next global Conference on Desertification, Land Degradation and Drought from October 7-18, 2019 at the Vigyan Bhavan conference centre in New Delhi. Participants from 197 Parties to the UNCCD will have access, for the first time, to a wealth of vital new scientific data. They will have access to Earth Observation data on the trends in land degradation dating from 2000, gathered from 120 of the 169 countries affected by desertification. They will also receive the first report on desertification and climate change prepared by the Intergovernmental Panel on Climate Change (IPCC), the global authority on climate change. India’s population is projected to reach 1.7 billion by 2050, and the country was one of the first to commit to the 2030 Sustainable Development Goal target of achieving land degradation neutrality (LDN). LDN is the Sustainable Development Goals’ target aiming to halt the degradation of land by taking three concrete actions. Countries promised to avoid, reduce and reverse land degradation, in that order of priority. Achieving land degradation neutrality—or, better yet, land restoration—can help vulnerable populations to improve their livelihoods, and communities all over the world can strengthen their resilience, especially to natural disasters linked to climate change. Ahead of COP14, government representatives gathered for a preparatory meeting from January 28-30, 2019 in Georgetown, Guyana, for the seventeenth session of the Committee for the Review of the Implementation of the UNCCD (CRIC 17). CRIC 17 will take stock of results of the first global assessment of land degradation, based on Earth observation data reported by governments, and agree on most of the recommendations that COP14 will consider. 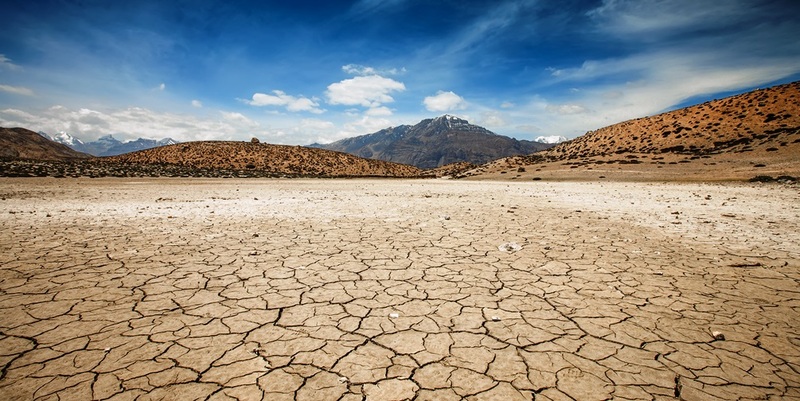 Photo of dry lake in Dhankar, India via Adobe Stock.